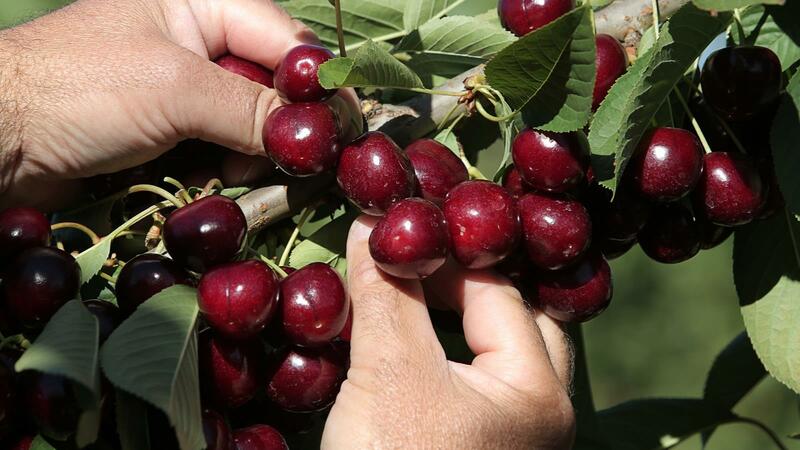 45 South exclusively grows and exports cherries, producing its own and managing other cherry orchards. Each season it harvests 300 hectares—80% percent is exported, mostly to South East Asia. CEO, Tim Jones, has always been interested in growing stuff. While his Scots College classmates headed to university, Wellington-born Tim took a cadetship on a Horowhenua orchard. He studied for a horticultural diploma and then managed an orchard before travelling overseas. Returning home in 1994, there was a bit to get to grips with. There are people who think it’s too risky only growing cherries. Yet, 45 South has harnessed the best international science to develop innovative growing systems adapted to local elements and land. Growing at different altitudes and producing different cherry varieties has spread risk and enhanced economic viability. From orchard to plate, delivering high-value Asian customers with fresh, luscious fruit is critical. State-of-the-art pack-house technology plays a part, as does being ready for action. Nurturing both the fruit and great relationships forges success. It’s about respect for workers, for buyers, for everyone in the process. In Central Otago, young soils, clean water and the freshest air are matched by frosty winters and hot summer days with cool nights that gift intense flavour. Understanding and protecting this unique environment is an important part of doing things right.